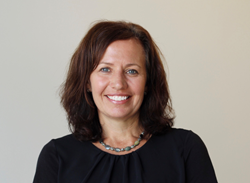 Novasyte Health is excited to announce Lisa Rood as the newest addition to its Senior Leadership Team. Novasyte is an innovative, collaborative and passionate organization and I'm excited to be a part of the family. "I am excited to welcome Lisa to her new role as Director of HR," said Gleeson. "Her knowledge of the industry and ability to take action makes her an obvious fit for our organization. Lisa comes to us from Qualcomm where she served as HR Manager for seven years. While there, she was responsible for partnering with their IT organization and supporting nearly 2,000 employees globally." "Lisa will play a key role as a member of our Senior Leadership Team," said Joe Andrew, Founder and SVP of Operations and Quality. "She will help craft both our short and long-term human resource strategies which will prove even more critical with our exponential growth." "Novasyte is an innovative, collaborative and passionate organization and I'm excited to be a part of the family," said Lisa Rood. "The opportunities for innovation and development are endless." Originally from San Ramon, California, Lisa received her Bachelor's degree from the University of California, Riverside, and her Master of Business Administration in Human Resources from California State University, Hayward. Novasyte partners with med-tech companies, offering outsourced commercial service teams for clinical, sales, field technical and recall support. Our flexible model enables us to build, deploy and manage teams that expand and contract to meet our clients' customer-facing needs. Program success is tracked and measured with our real-time business intelligence analytics that provide our clients with critical insights into their most important resources - their people and their customers.